Why is it generating only one file? It generates only one image with RGB and IR in the same file. How can i generate (and upload) 2 files? Please… Could you send me your modified file? I’ll look at changing this in the satnogs-extras repository too… Using separate files is probably a better idea. I had a problem with my SD and i had to reinstall Raspbian. 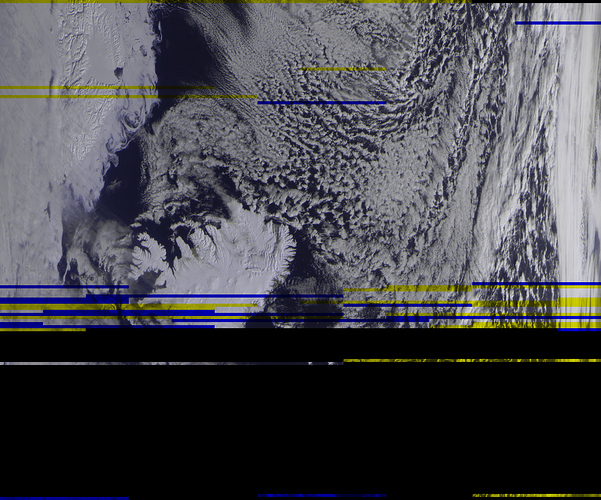 I did a fresh satnogs install and Meteor decoder modification, but i have some problem becouse it is not decoding. .s files are being generated. Waiting for 120 seconds before processing. More info: running /datadrive/process_meteor.py generates images correctly, but not like satnogs. I have created a pull request on the satnogs-extras repo implementing this, could you have a look? #   flock -n /tmp/meteor_process.lock -c "python /path/to/process_meteor.py"
# What wildcard string to use when searching for new soft-bit files. Problem has been solved adding a shell to satnogs user on /etc/passwd before was /bin/false now with /bin/bash is fine. A lot of thank’s for the new script. After some testing on LRPT IQ files recorded at station #39, I suggest to use pll_alpha=1m and clock_alpha=2m. Pull request to @vk5qi has been submitted. 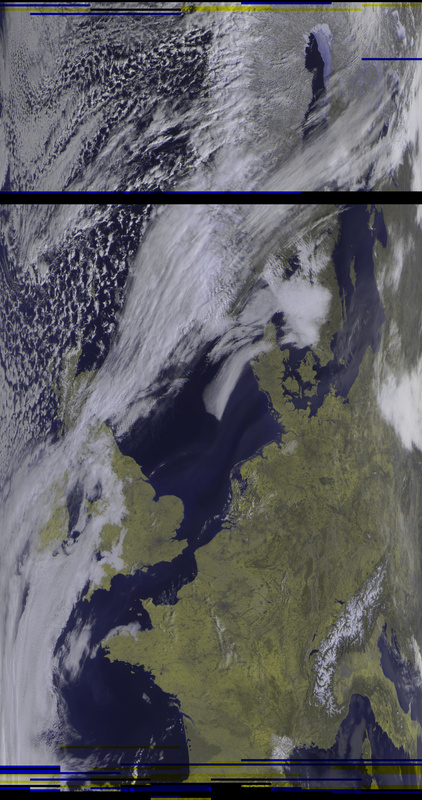 Image from before (pll_alpha=15m, clock_alpha=3m). I’ve now merged this PR, so the changes are available from the satnogs-extras repo.